Pick up any gardening book or magazine and you’ll read exhortations to “add plenty of compost and organic material” when planting your garden. Sounds great, until you realize you don’t have a clue what that means. You have a vague idea that compost is something good…but how do you get it? Do you buy it, make it or what? 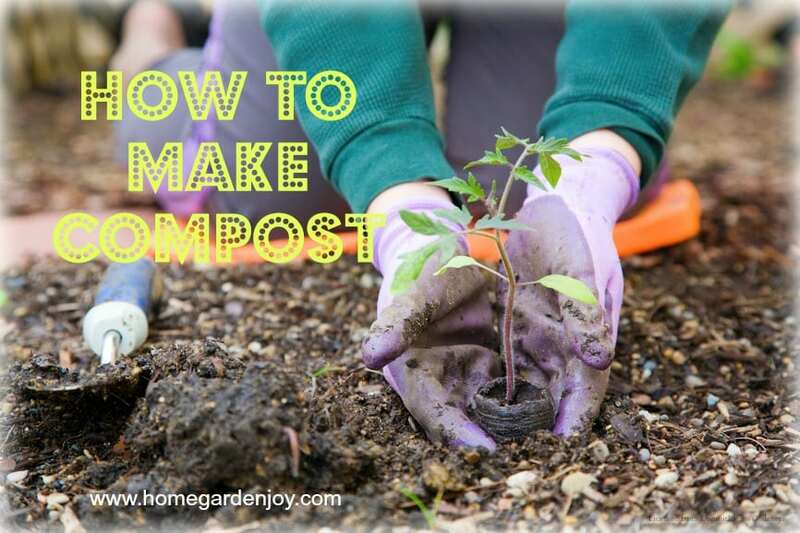 Learning how to make compost isn’t difficult. After all, Nature has been making compost for millions of years. It’s nature’s way of recycling plant material back into its basic elements so that nothing is wasted. Let’s take a look at how to make compost and the wonderful world of…rot. All soil is comprised of minerals, air, water and nutrients, as well as living beings that form a microscopic ecosystem, an interconnected web of life within the dirt. Fungi, bacteria, and insects interact within this microcosm to break down plant material into nutrients that other plants can absorb. During this process, they may feed upon the plant material and excrete wastes that end up feeding the soil and soil bacteria. Some bacteria actually form a symbiotic, or mutually beneficial relationship, with plants. The bacteria break down materials in the soil that can be absorbed plants; plants in turn feed the bacteria. The soil in your backyard teems with life. Most of this life thrives under the earth, where you can’t see it, but you can see the results. 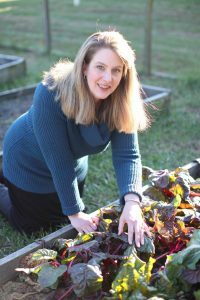 Healthy garden soil nurtures healthy plants. A thriving lawn, strong and stately trees, juicy fruits and vegetables, and beautiful flowers are all the results of the complex interplay between air, soil and water. 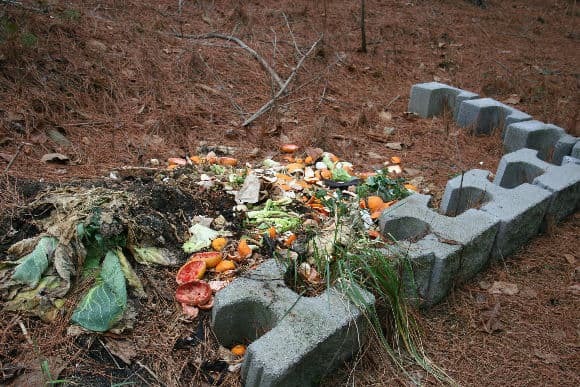 Compost is essentially decayed organic material used as plant fertilizer. When gardeners speak of adding compost to the garden, they’re talking about the end product of a weeks or months-long process of decomposition that transforms plant material and animal manures into nutritious fertilizer for the garden. Making your own compost is a lot like making your own soup or stew: the end product takes time for the flavors to meld. A compost pile should be started as soon as possible, because it will take several weeks or months for the flavors, or materials added to the pile, to ‘blend’ and breakdown and form the actual compost that is added to garden soil. Compost Tumblers, Bins and Piles: Which Is Right for You? You can make compost by simply piling up scraps in an unused corner of you yard, or you can build or purchase a compost bin to contain the scraps. Compost tumblers make the process of composting smoother and faster for backyard gardeners and can dramatically shorten the time it takes to transform your kitchen scraps into viable compost. 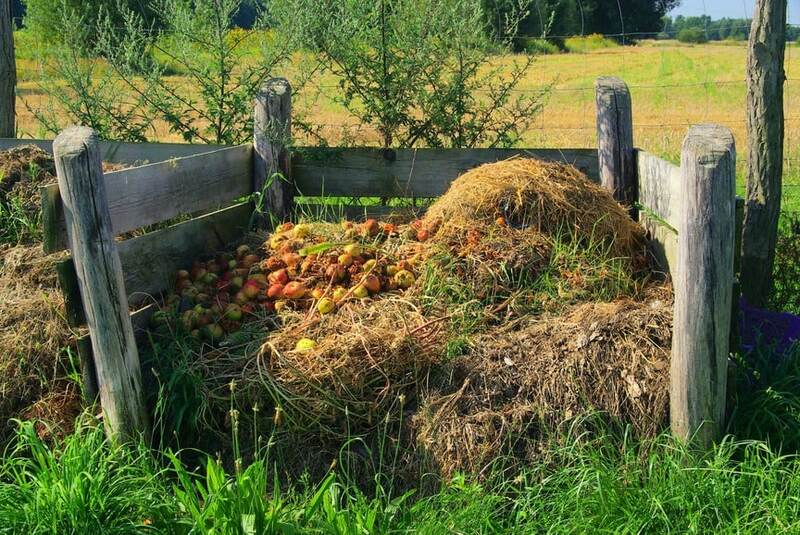 A compost pile is simply materials piled onto the ground, with more layers added to the top and the whole pile watered and turned occasionally. 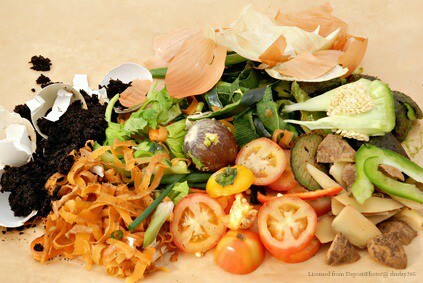 Compost requires materials, heat, water and air in order for the bacteria living among the scraps to work efficiently. This bacteria is aerobic, meaning it works in the presence of air, and by turning over the pile with a pitchfork or shovel, you add air into the mixture. My own compost pile is a simple pile or a cold pile, meaning I just layered scraps and old potting soil onto the forest floor. I used some leftover masonry blocks from our patio construction to build up the sides and hold it in, but for the most part it’s a messy pile. I add kitchen scraps and leaves to the pile as they’re available, and at the end of the summer, I dump the entire contents of my patio contains, annuals, soil and all, onto the pile. I turn the pile once in the spring, and dig into the bottom for my compost. I don’t get a lot, but what I do is fine for my needs. To start your own compost pile, experts recommend a specific layering sequence so that the materials heat up properly and speed up the composting process. First, put down a layer of either raked autumn leaves or grass clippings, depending on when you start your compost pile. The leaves are called brown material, and the grass is called green. Compost piles should be an even mixture of brown and green. Brown is cool, and decomposes slowly; green gets hot, and decomposes quickly. Too much green material makes compost piles stinky, but brown leaves added to green materials evens out the decay process and reduces nitrogen and ammonia that turns sweet smelling compost into a stinky mess. Keep layering whatever you have handy. Keep a container such as a pail or bowl in your kitchen to easily collect kitchen scraps for your compost pile. Good things to add to a compost pile are lettuce leaves, fruit peels, vegetable peels, tops and bottoms of carrots and similar veggies, coffee filters and used grinds, tea bags and used tea, and even shredded paper. Do not add meat, fat, or bones. When your kitchen container fills up, add it to the pile. If fruit flies become problematic, use a lid on your compost pail. Once the pile gets going, you may see steam rising from the top. Steam is good! It shows that the pile is getting warm inside. The warmth increases the rate at which the beneficial bacteria can multiple and do their ‘dirty work’ to decompose the materials in the compost pile. Aeration speeds composting. My dad used to take a PVC pipe, drill holes along the side, and stick the pipe into the compost pile like a vent stack to aerate the entire pile without turning. I used the same method successfully, too. Turning compost over accomplishes the same thing with more backbreaking labor. Tumblers, discussed in a bit, make the job much easier. Many people prefer to use a compost bin instead of simply piling up the compost in a corner. Bins do keep compost contained and tidy, and they’re easy to make. They are basically square containers, sometimes with two separate sides for new and old compost, with mesh or chicken wire sides to allow good air circulation. You can build the frame with scraps of lumber, old pallets, bricks or stones. My last compost pile had walls built of bricks we recycled from a construction project a few blocks away – they were throwing away the old bricks, which had been used on a walkway and gotten very green with algae, and so we asked and the homeowner said sure, take them. So we carted them back to the house and used an existing fence as the back two walls, and the leftover bricks for the third wall, simply piling them up. The fourth wall we left open to easily access the compost. You can also purchase compost bins made of plastic. Most of these have study construction and are easy to assemble. For those living in urban or suburban environments, such a compost bin comes in handy. It keeps the peace with your neighbors who might object to a lovely pile of rotting leaves in a corner of your yard. I wouldn’t object – I’d be more likely to ask if I could borrow some compost – but not everyone understands us gardeners, you know what I mean? Here are a few good compost bins you can purchase. I’m an Amazon affiliate, so as a point of disclosure, I have to say that if you click one on of these links and make a purchase, I receive a small commission. This doesn’t affect your price in any way. This big, sturdy plastic compost bin features two large openings on the top with wind locks to prevent the wind from opening the top and breaking the lids. I love the two doors on the bottom. It makes it very easy to remove compost from the Exaco Thermo King! Talk about amazing. This bin not only looks neat and sleek, but it’s insulated to retain heat. And it aerates itself. No turning needed. This is a brand new product but it sure looks useful. There’s even a base and reservoir to collect any liquid that forms at the bottom; you can add the liquid to the garden, too. Below is an expansion kit to increase the amount of room in your Exaco Aerobin composter. Compost tumblers are also a commercial composting bin, but they look like barrels on rolling stands. The barrel has a handle on the side that you crank to turn the compost, or the barrel is mounted on rollers so you can just spin it easily. Spinning the compost or tumbling it helps aerate and mix it, which helps those good bacteria do the job they were born to do; break down your scraps into compost. Compost tumblers also contain any odors and keep critters out, which is a plus in certain parts of the country. They’re a little on the pricey side, but frankly, if I could afford to buy a compost bin it would be a tumbler. The Yimby Tumbler, above, is a traditional composting tumbler. It features two chambers so you can add new material to one chamber and use the other for almost-ready materials. The 37 gallon capacity is fine for most home gardens. Best of all, the company claims it makes compost in as little as two weeks! The space-age design of the Good Ideas Compost Tumbler makes me think of a submarine, but the design is actually similar to the Yimby. This one just sits on the ground, on a little platform. The holes on the sides aerate the compost and you can place the whole contraption at the end of a raised bed garden to make it easier to compost in place and add that rich fertilizer to your garden beds. Kitchen scraps for composting. Just discard seeds. Some gardening guides suggest composting weeds, but I advise against it. Unless your compost pile gets very hot inside, it won’t kill the weed seeds, and you’ll end up sowing them back into your garden the following year when you spread your compost. That’s not what you want to grow, is it? Other items to avoid adding directly to a compost pile are lime and wood ash. Both can increase soil pH and can be dangerous to add to the soil without having a thorough soil test conducted at your local Cooperative Extension office. These pails are attractive and make it easy to bring your compost from the kitchen to the pile, bin or tumbler. The Epica Stainless Steel Compost Pail is good-looking enough to keep out on your counter top. It’s easy to wash and dry, and has a ventilated lid. This compost pail does my inner granola goddess good! Not only does it feature a beautiful design but an eco-friendly, bamboo fiber pail with charcoal filter. Wash the Oggi Compst Pail by hand. What about animal manures? Good well-aged manures also enhance your garden soil. Cow manure is an old standby, but horse manure may be easier to come by in your area. Just make sure it’s well rotted; don’t add fresh manure to a compost pile or to your garden beds. It’s too high in nitrogen and can burn delicate plant roots. Rabbit, goat, and sheep manures are also good for the garden. Chicken manure can be useful if its aged. Never use dog, cat or any carnivore manures. They can contain parasites and attract vermin to the garden. Compost must be kept moist to help it decompose. Most compost piles do just fine without added water. Rainfall is typically enough to help plant materials compost along, but if you’re afraid your pile is too dry, just give it a little sprinkle with your garden hose. Compost shouldn’t be soaking wet, but it should be brittle dry, either. 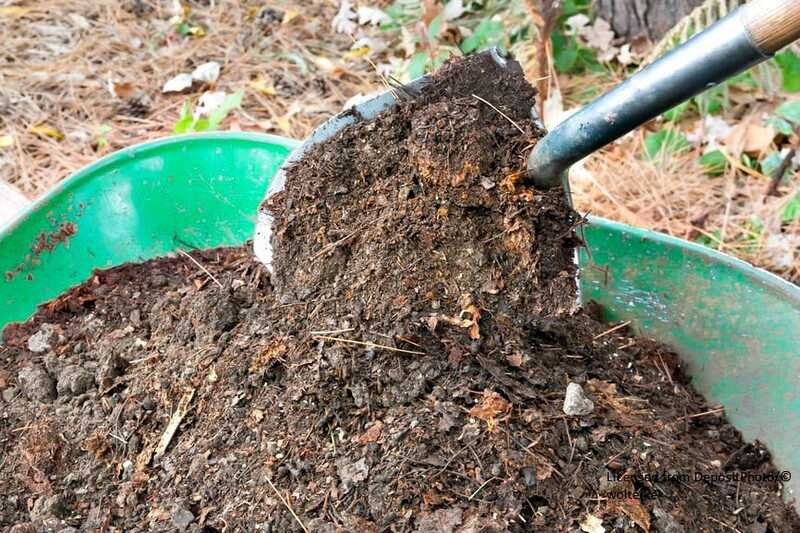 Now we get to the fun part – how to tell when your compost is ready to add to the garden. Good compost looks like crumbled Devil’s food cake. It should be dark brown, crumbly and rich looking, and smell like sweet soil. There may be worms, millipedes or other bugs crawling in the compost pile. That’s good – you want to see those critters there. Worms, for instance, eat up decaying plants and poop out nutrients. They’re like little squirmy fertilizer factories. Don’t you just love nature? The best compost will be at the bottom of your pile or bin, and that’s where the back breaking labor comes in . Sorry to disappoint you, but unless you have a tumbler, you’re going to have to dig into your pile with a pitchfork or shovel to find the black wonderful compost at the bottom of the pile. Use the second compartment of a commercial compost bin, or dig up the top material, turning it into a second pile. At the bottom of your original pile you’ll strike the compost soon enough. Fork it into a bucket or wheelbarrow, and move it into your garden beds. If you have raised beds, add it to the soil and use a pitchfork to mix it in. If you have a directly sown garden, till the soil or spade it and add the compost the old-fashioned way. For container gardens, mix about one-third compost to two-thirds soil. Not everyone feels like channeling her inner Mother Nature. Some people just don’t have the time, space or inclination to create a compost pile. That’s okay. You can always buy compost. Bagged compost is typically made from recycled materials and cow manure. Most of it is heat treated to kill weed seeds, so it may lack some of the beneficial soil bacteria that homemade compost adds to garden soil. Nevertheless, it adds valuable nutrients. Mushroom soil is a special type of compost available in specific parts of the country such as Pennsylvania and Virginia. It’s composed of leftover materials from the mushroom farming industry. The rich soil mixture used to grow mushrooms must be discarded after each crop is harvested, so the farmers recycle it. It’s still wonderful for the home garden. Mushroom soil contains horse manure, cow manure, straw or hay, lime and sometimes other vegetative material. It smells like good manure mixed with compost. Mushroom soil is sold by the bag. I hope that this guide to composting has been helpful. So that you won’t feel intimidated, behold, I share with you pictures of my messy, horrible looking compost pile. Messy or not, it works. My ugly, efficient compost pile. Hey, it works!